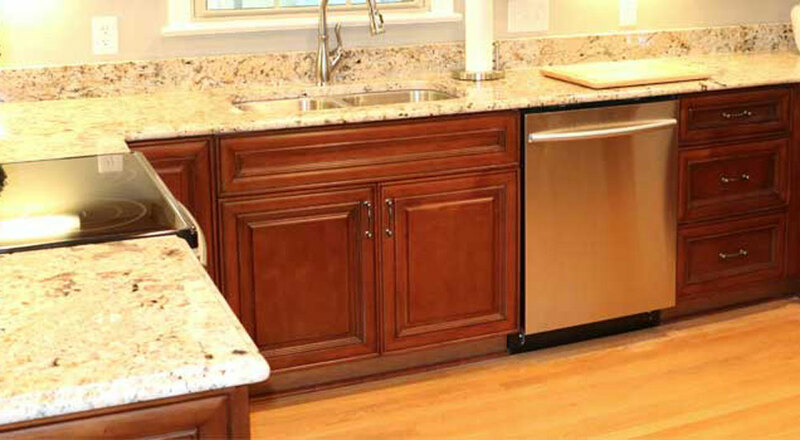 Since 2006, Panda Kitchen & Bath Expo has been offering a variety of competitively priced custom kitchen cabinets and granite countertops in Richmond VA. Our kitchen cabinets are made of all maple wood, and we our cabinet makers have eight different styles in stock in our local showroom for you to choose from. 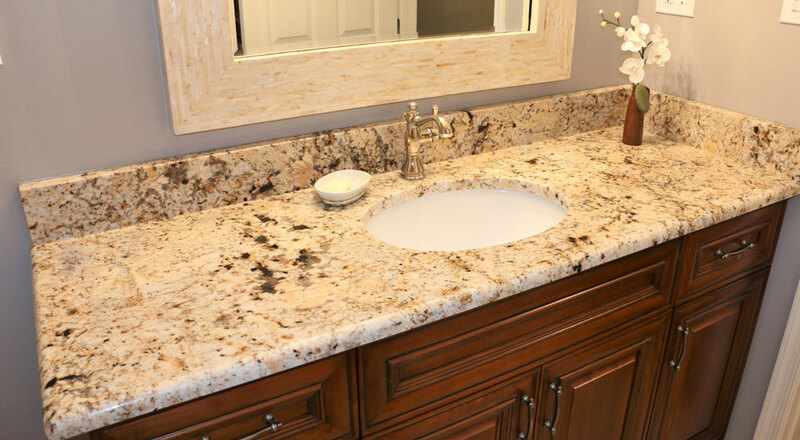 We also have a large in-stock selection of granite countertops to complement the style of your kitchen or bathroom. 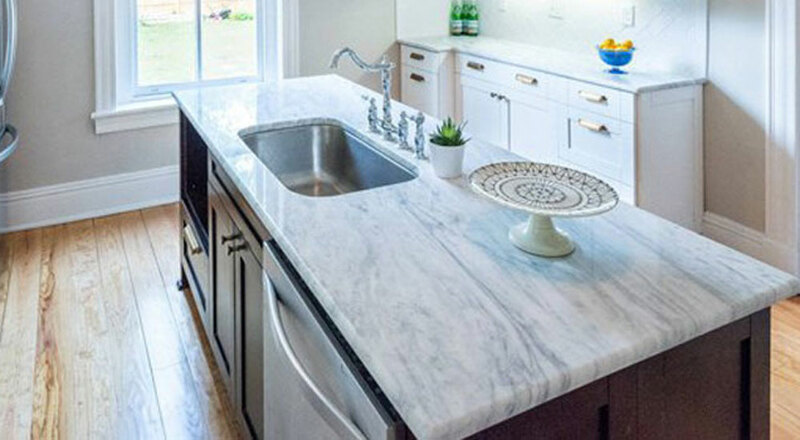 If our in-stock granite doesn’t meet your remodeling needs, we are more than happy to order endless possibilities of granite, marble, and quartz to give your home an elegant new look. 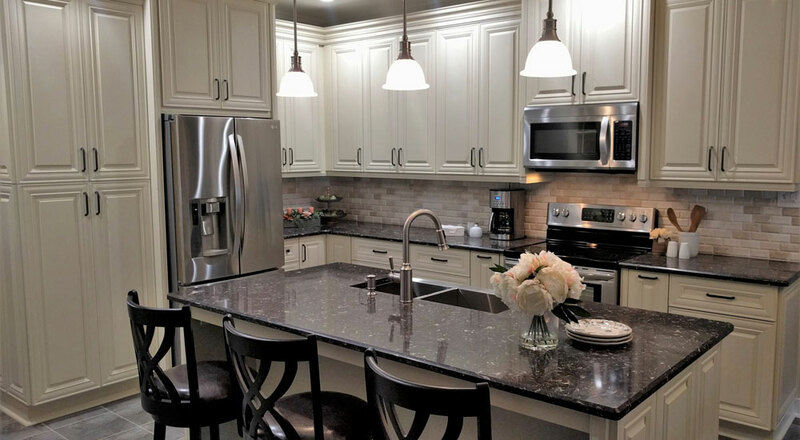 The cabinet makers and countertop designers at Panda Kitchen & Bath Expo takes pride in providing high-quality custom cabinetry and countertops at reasonable prices. 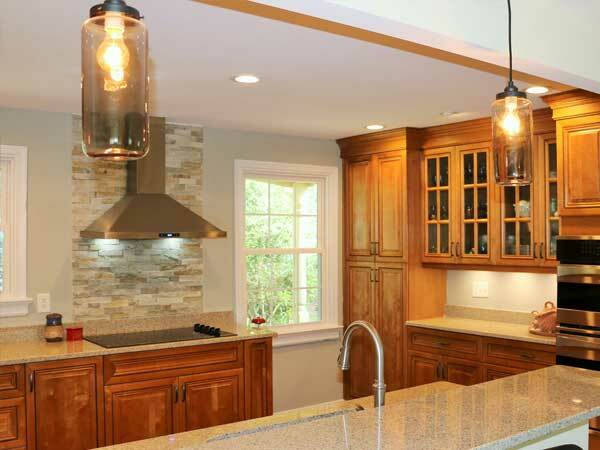 Our exceptional team of experienced designers, cabinet installers, and project coordinators have been working together for nearly a decade, and our combined knowledge and talents lets us provide an unparalleled experience to our customers in Richmond and the Tri-Cities area, from start to finish. 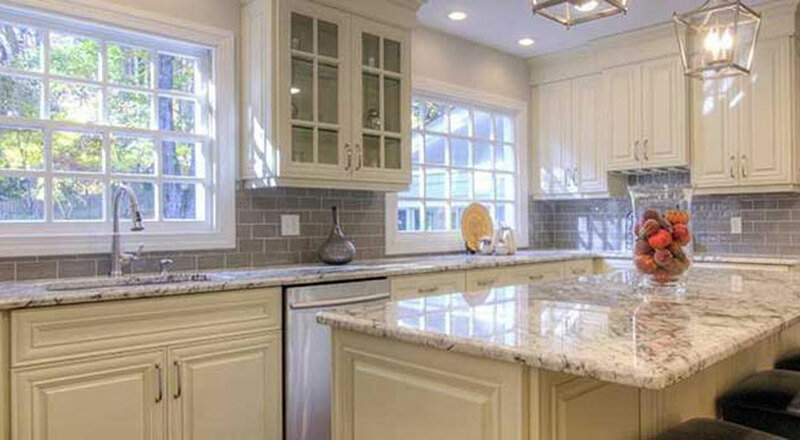 Our kitchen cabinet and granite countertop installers all work in house, and offer free measuring, designs, and estimates for each remodeling job. 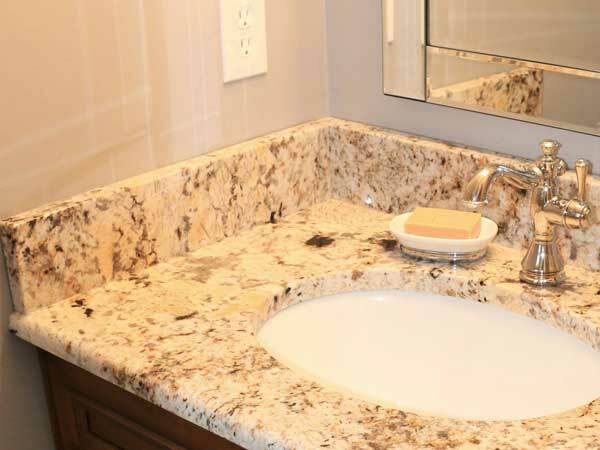 From installing a new granite countertop in your bathroom, to replacing your existing kitchen cabinets – we can give your home just a minor cosmetic update or an entirely new look. 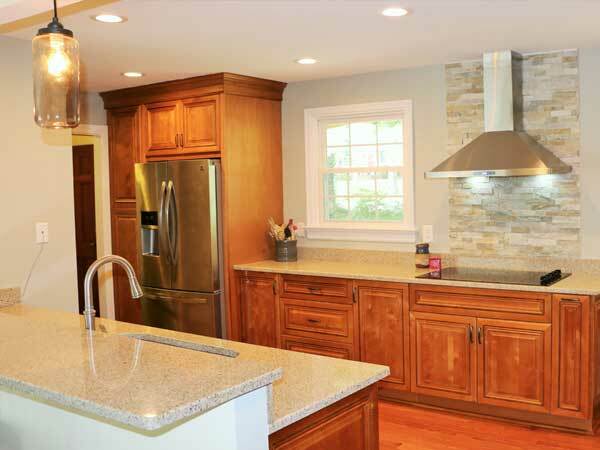 Panda Kitchen provides cabinet and countertop installation and design services to homes in Richmond, Glen Allen, Short Pump, Midlothian, Chesterfield, Mechanicsville, Chester, Ashland, and surrounding areas. 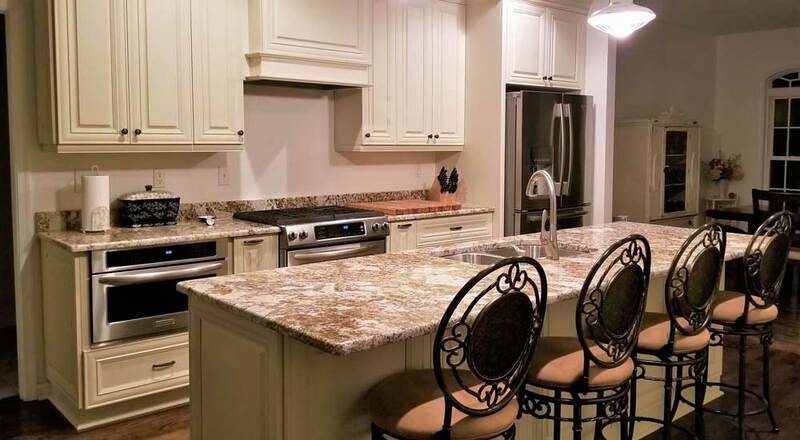 If you’re not sure whether we install our beautiful kitchen cabinets and custom countertops in your area, give us a call or visit our service areas page. Want to learn more? Call Panda Kitchen at (804) 288-3380, or click here to get started with a free consultation!